Beat the summer heat with this this cool & tasty summertime treat that requires just 4 ingredients and no added sweeteners. 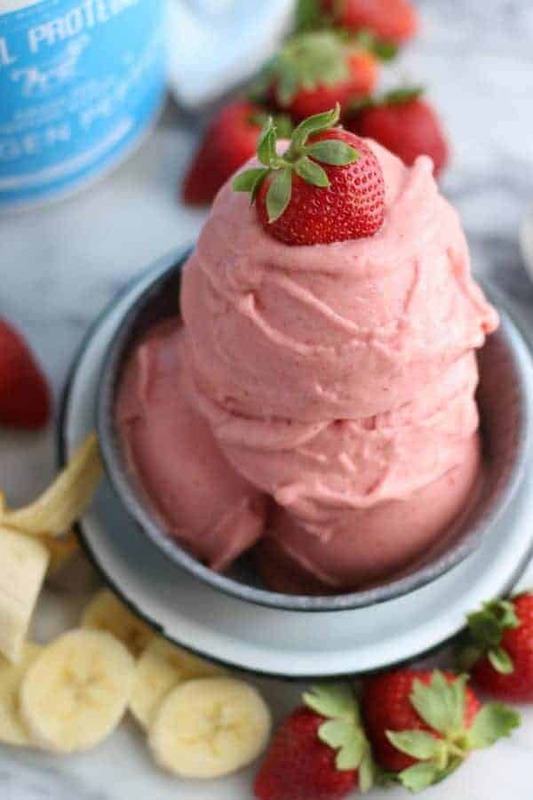 Strawberry Banana N’ice Cream makes for a light and refreshing, dairy-free, paleo-friendly treat that takes just 10 minutes of your time to make. 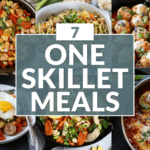 As you know, we’re all about keeping it simple with our 10-ingreidnet or less recipes and even better when we can make a recipe in just minutes of our time. 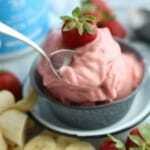 Our Strawberry Banana N’ice Cream is a recipe we know you’ll love and a perfect treat for kiddos too. It’s made with just 4 wholesome ingredients and whipped together in a high-powered blender. A perfect treat for hot Summer days when you just need a little something cool, creamy and healthy. Most ice cream recipes require time in an ice cream maker or in the freezer, but not this one. In just 10 minutes you’ll have yourself a bowl of delicious N’ice cream! Hungry for more cool summer sweets & treats? 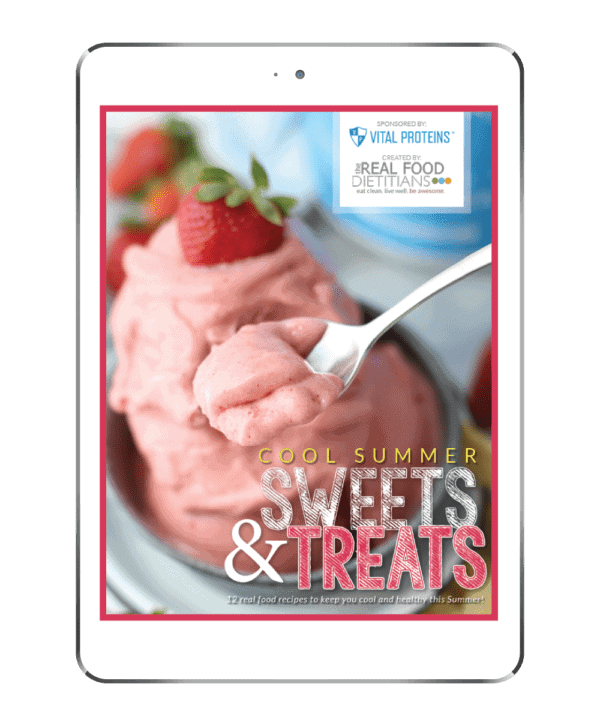 Lucky for you, because we’ve got you covered with our Cool Summer Sweets & Treats eBook that’s available for a limited time only. 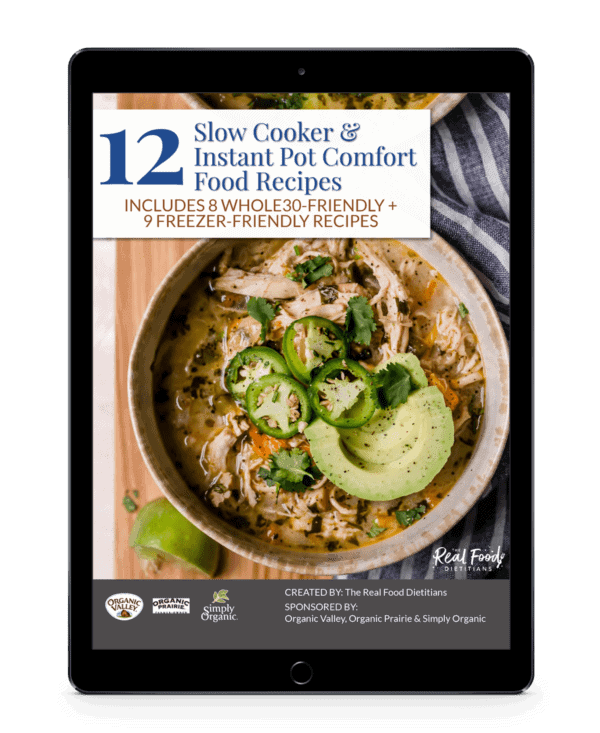 This eBook features 12 real food recipes that will keep you cool and healthy this Summer! Get the Cool Summer Sweets & Treat eBook here! Ice cream you can feel good about eating! 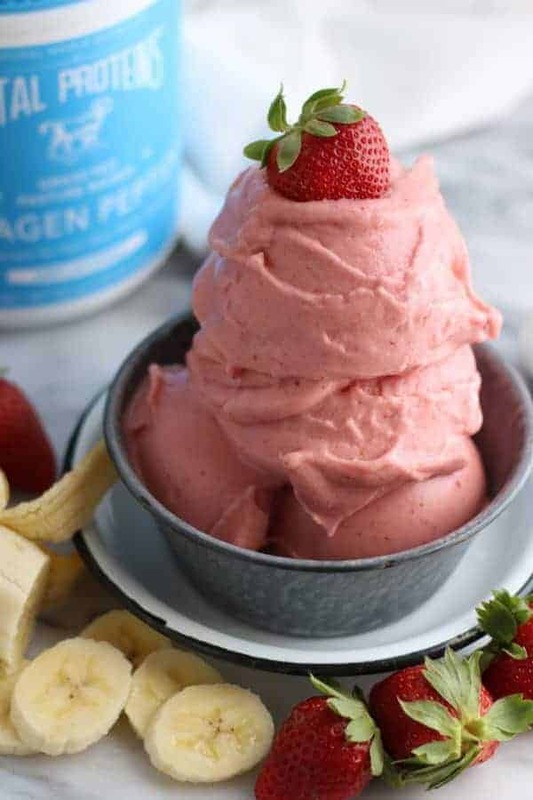 Strawberry Banana N’ice Cream is not only insanely delicious but it also gets a boost of nutrition with Vital Proteins Collagen Peptides, a supplement we incorporate into our daily diets. 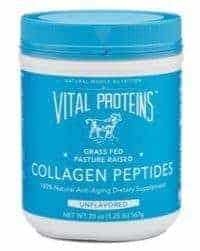 Healthy hair, skin & nails, anti-aging and a stronger immune system are just a few reasons for why we make our daily dose of collagen a priority. 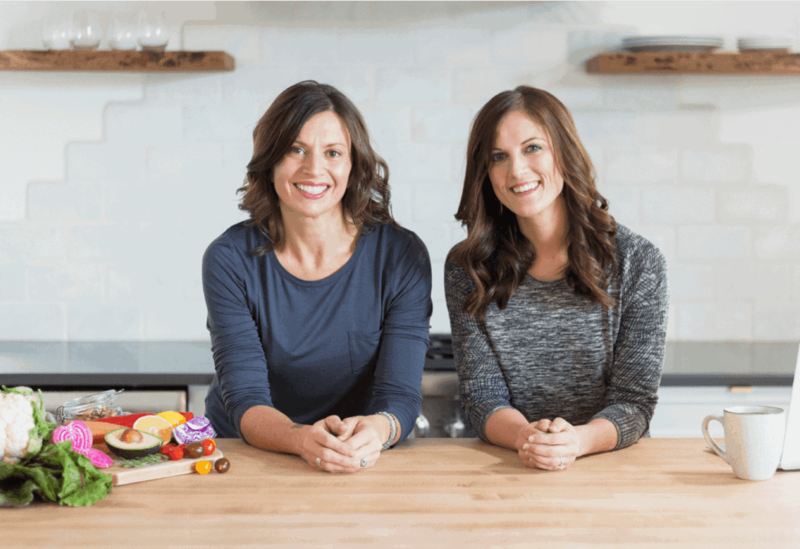 For more information on why we love this supplement you can read our blog post called 5 Ways Collagen Can Improve Your Health. 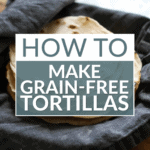 This is a recipe everyone can enjoy so if you follow a vegan diet, no problem! 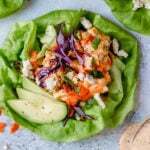 Simply omit the collagen in this recipe. 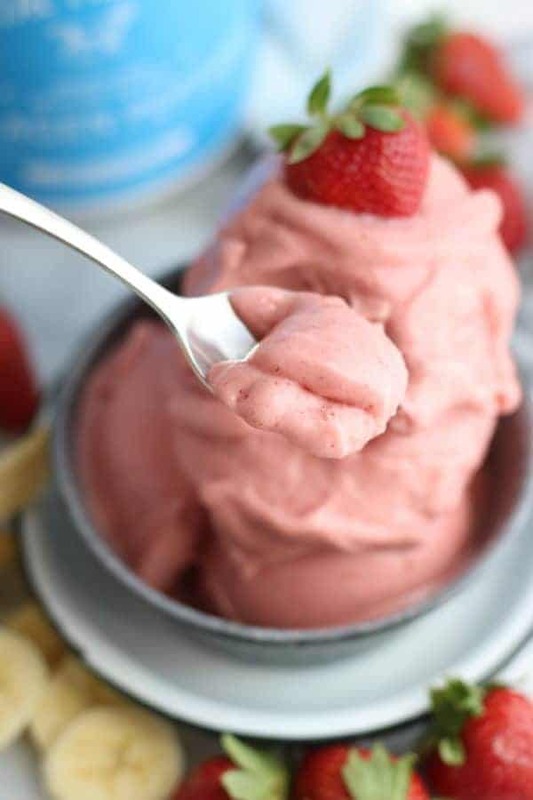 Now go make yourself some delicious Strawberry Banana N’ice Cream! We can’t wait to hear how much you love it. This cool summertime treat requires just 4 ingredients that you may already have on hand – and it requires no additional sweeteners! 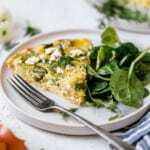 A high-powered blender works best for this recipe though you can use a food processor if that’s what you’ve got. 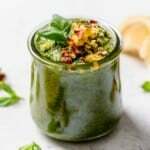 Place all ingredients in high-powered blender or bowl of a food processor. Blend/process until smooth, stopping to scrape down the sides and adding additional milk as needed. 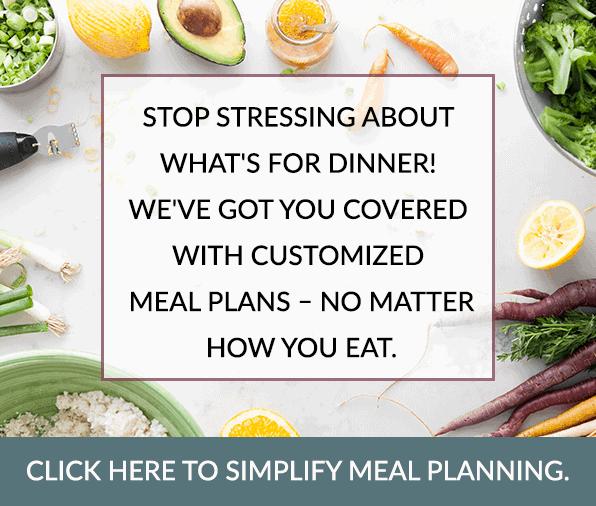 Freezing instructions: Scoop individual servings onto a sheet pan lined with parchment paper. You’ll end up with 4-6 mounds of ice cream. Quickly place in freezer. 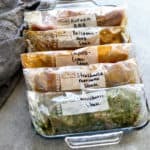 Once frozen, store in a zip top bag or airtight container in the freezer. When ready to enjoy, remove a portion from the freezer and let thaw slightly until soft and creamy.